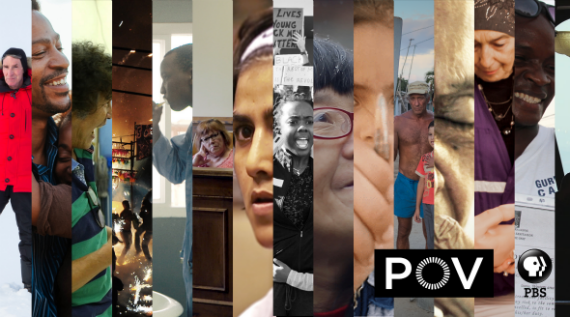 Whenever PBS’s long running documentary series POV announces its annual lineup, just about everything has to take a back seat (even Cannes). Its 31st season kicks off this Wednesday with a special Earth Day showing of David Alvarado and Jason Sussberg’s BILL NYE: SCIENCE GUY and continues with its official opening on June 18th with Jonathan Olshefski’s QUEST. The season continues with Viktor Jakovleski’s BRIMESTONE & GLORY, Sabaah Folayan and Damon Davis’s WHOSE STREETS? and more. The Cannes Film Festival also revealed its own prestigious lineup, though as usual the nonfiction offerings are limited at best. Those due to make their debut alongside the glitz and glam (and Netflix controversy) include DEAD SOULS, the latest epic from Wang Bing, Wim Wenders’s high profile POPE FRANCIS – A MAN OF HIS WORD, Romain Goupil’s mosaic of France in LA TRAVERSÉE, and Michel Toesca’s refugee tale TO THE FOUR WINDS, all programmed out-of-competition as Special Screenings. Our own 2018 Spring Season is set to begin tomorrow night at IFC Center with a very special sneak preview screening of BOOM FOR REAL: THE TEENAGE YEARS OF JEAN-MICHEL BASQUIAT with director Sara Driver on hand for a live post-screening Q&A. Tickets for the event are still available here. On Tuesday, the Peabody Awards Board of Jurors nominated 19 documentary films for Best Documentary Storytelling of 2017 in the 77th Annual Peabody Awards. Contenders include heavy hitters STONG ISLAND, ABACUS: SMALL ENOUGH TO JAIL, CITY OF GHOSTS and LAST MEN IN ALEPPO, as well as relative outliers THE DEFIANT ONES, THE BAD KIDS, MOTHERLAND and TIME: THE KALIEF BROWDER STORY. The documentary award winner will be announced tomorrow, on April 17th. Two major HBO celebrity bio-docs premiered over the weekend in Thom Zimny’s two part ELVIS: PRESLEY: THE SEARCHER and Jason Hehir’s ANDRE THE GIANT. At Vulture, Matt Zoller Seitz asked what else is left to say about Elvis, while others like Jon Pareles of The New York Times and Sheila O’Malley of RogerEbert.com raved about Zimny’s meticulous examination of the rock’n roll legend, noting its tunnel vision on his musical talent and verve for performance. Meanwhile at A.V. Club, Noel Murray praised Hehir’s wrestling profile for its moving “celebration of a one-of-a-kind talent,” as Matt Bonesteel explores how Bill Simmons left ESPN to work with HBO to produce larger-than-life sports docs such as this in The Washington Post. Other notable releases this week include Sophie Fiennes’s GRACE JONES: BLOODLIGHT AND BAMI, lovingly covered by Wesley Morris in The New York Times and chosen as the Film of the Week by Jonathan Romney for Film Comment, Hugh Gibson’s THE STAIRS, which was featured in Reverse Shot by Josh Cabrita in conjunction with the film’s screening at the Museum of the Moving Image over the weekend. Additionally, NPR’s Linda Holmes reported on THE SIMPSONS’s tepid response to Hari Kondabolu’s THE PROBLEM WITH APU. Looking for new docs to watch? Check out PLAYER ZERO by Sherien Barsoum, while follows an NBA hopeful who is determined to transform his character for a chance at making it to the big leagues, and THE HANGING by Geoffrey Feinberg, which tails 19 year old who garners the nickname “Russian Spiderman” after hanging out on the rooftops in Moscow, both at Short of the Week, and the surf doc A PORTRAIT OF LAURIE TOWNER by Gary Parker, a new Staff Pick at Vimeo. Or for doc related listening, check out the latest episode of Fog of Truth, featuring THE FORCE and DO NOT RESIST. I leave you this week with a pair of must reads: the latest issue of Cléo featuring a dossier on Agnès Varda, and a feature by Franklin Foer in The Atlantic on the digital manipulation of video and its future potential to completely turn the term “fake news” on its head. As always, if you have any tips or recommendations for the Memo, please contact me via email here, or on Twitter, @Rectangular_Eye.